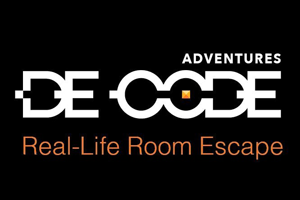 Anew escape room has just opened in Brea. 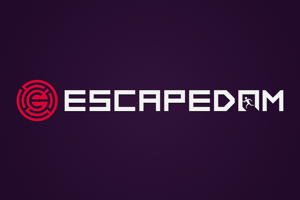 Named after the city’s first theatre back in the early 1900s, Red Lantern Escape Rooms has made their debut with “Midnight on the Bayou.” Inspired by such iconic settings as the Blue Bayou (in Disney’s Pirates of the Caribbean) and Back to the Future (at Universal Studios), the quality of the room is sure to impress both beginners and experienced players alike. Located just minutes away from downtown Brea with plenty of parking spaces (it was empty on the Sunday afternoon we went), Red Lantern has made their home in an office building with room to grow. Midnight on the Bayou itself spans an impressive 1000+ square feet. Although it’s just one room, the puzzles will keep you busy for almost the entire 60 minutes. One of the best things about this company is that it is a family-run business, and you can definitely see and feel the passion each member has behind it. Upon entering, we were greeted by the owner’s mother. She was very hospitable and sat us in the waiting area where we were able to read the five characters’ back stories and immediately get familiar with the story and the “why” we were here. She also presented us with a puzzle to get us warmed up, but the space, being an office building, needed a bit more intrigue to really set the scene. 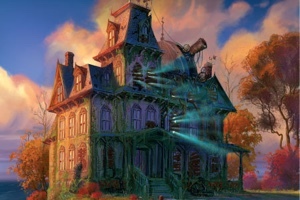 The premise of the room itself was very thought out, perhaps even a bit too thought out. You are attending your high school reunion at a carnival-themed Bayou near a barn where five students died in a barn fire years ago. As much of a sucker as I am for story, this room felt a bit too overwritten. There was too much information to absorb, and it’s hard to keep track of everyone’s backstories. It makes you wonder, Why a reunion? Why a carnival? Neither are integral to the story or solving the mystery. Although I do appreciate the attempt at full immersion and focus on solving different puzzles to release each individual ghost, there were definite challenges in terms of logicality and difficulty. This is definitely not a room for beginners. Technically, however, the puzzles ran smoothly and without flaw. It was refreshing to play a variety of new puzzles we hadn’t played before, and the host does a superb job improvising and providing clues with comedic (if not dark) undertones. At the end of the game, whether you win or lose, you can take a picture in the room to commemorate your time at this reunion. Overall, I’d say give this room a try if you are an intermediate player, especially if you’re in the area. It’s a lot of fun and the theme is quite unique from many of the other rooms out there. I am excited to see what other rooms Red Lantern comes up with because there is significant potential for them to be one of the leaders in Orange County.